Franklin County is home to four international manufacturing companies. The world’s largest and most advanced complex of flight simulation test facilities are located at the Arnold Engineering Development Center (AEDC) which is situated at the north end of Franklin County. 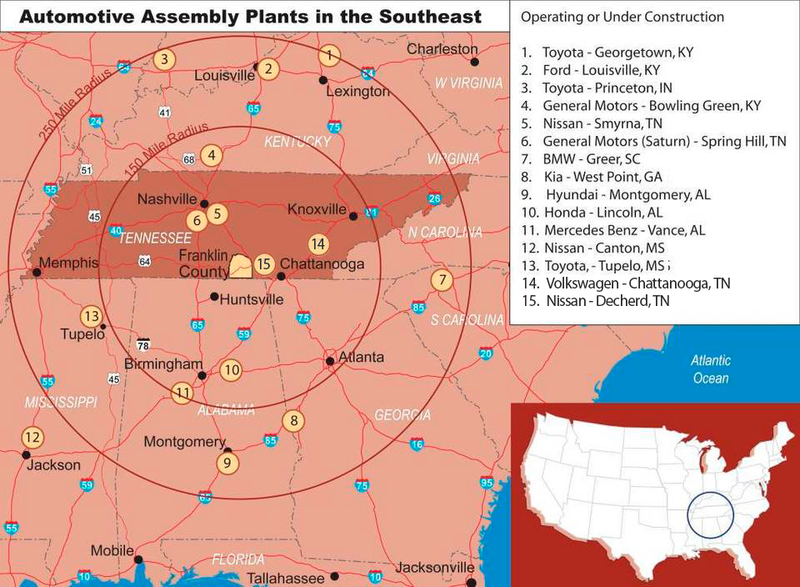 Franklin County is located in the Southern Automotive Corridor, with three auto assembly plants and three engine plants within a 50 mile radius. Copyright ©2019 Franklin County IDB. All Rights Reserved.